Klymenko: "The Cabinet of Ministers must help the business in the familiarization of foreign markets" ⋆ News ⋆ Official website for Oleksandr Klymenko. The foreign trade turnover of Ukraine during this year, at the end of 7 months, has decreased by 17%, to $ 64.8 billion. In order to recover the volume of foreign trade at least to its former positions, the government must help the business in familiarization of foreign markets through the establishment of the Institute of Economic Attaché, introduction Institute of authorized economic operator, deregulation of foreign trade. Oleksandr Klymenko – ex-minister of Revenue and Duties – wrote about it on his official Facebook page referring to available customs statistics. “The foreign trade turnover of Ukraine during this year, at the end of 7 months, has decreased by 17%, to $ 64.8 billion. The good news is – the balance is positive, exports exceeded imports (slightly, only $ 2 billion. (33.5 billion vs. 31.2). However, it is a great success for the Ukrainian economy, which for many years was considered solely as economy, which is oriented on imports”- says ex-minister. He notes that consumers of Ukrainian products are Russia (20%), Turkey (7%), Egypt, Poland, China and Italy (5%). Imports of goods to Ukraine are mainly from Russia (25%), China (10%), Germany (9%), Belarus (8%), Poland (6%) and the USA (4%). The share of exports to CIS countries amounted to 29%, import – 4%, while to EU countries – 33% and 37%, respectively. Oleksandr Klymenko said that this is a good indicator in terms of the reorientation of the Ukrainian economy to the European market. Last year the situation was actually contrary. “Personally, I thought and still think that the path of reciprocal sanctions in relations with Russia – is a road to nowhere. It is still one-fifth of the foreign trade. It is incredibly complicated to compensate such loss. The fall of turnover demonstrates it. It is necessary the de-escalation of the conflict in all senses – both at the militarily and economical fronts”, – says ex-minister. He added: “at the same time, the trend of penetration of Ukrainian business in EU markets must, of course, be supported and fixed”. 1. Introduction of the Institute of Economic Attaché to the structure of the diplomatic missions. First of all – in countries, which are longstanding and prospective trade partners of Ukraine. 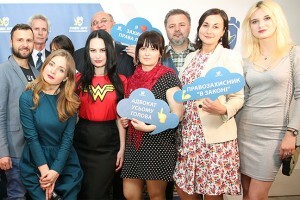 The ex-minister considers that there is the invaluable assistance to entrepreneurs, namely Ukrainian entrepreneurs – is in getting acquainted with the markets of other countries and the correct presentation of themselves in these countries, foreign entrepreneurs – on the contrary, is in acquaintance with Ukraine as an object for investment. “In Ministry of revenue and duties we have already negotiated with the Ministry of Foreign Affairs on the introduction of such a post in the seven countries, which are our largest trading partners. However, we have not had enough time. Meanwhile, it does not require huge budgets, and the payoff can be enormous, “- said the ex-minister. 2. The introduction of authorized economic operator. The company with such status receives almost unrestricted access to EU markets. Oleksandr Klymenko said that it is necessary to adopt the relevant law (its draft has already been worked out), and sign the relevant agreements with partner countries. Previously, there was a “catch” due to the fact that the the Customs Union the European Union have dramatically different requirements to the institution authorized by the operator. However, in the light of the Association Agreement, Ukraine could submit for the discussion at the interstate level the issue mutual recognition and harmonization of standards in the “tripartite” format. 3. Deregulation of foreign trade. Nowadays, too many government agencies are involved in the regulation of export-import operations. Customs determines the customs value, the Economy Ministry issues licenses, diverse and numerous inspections – permissions. 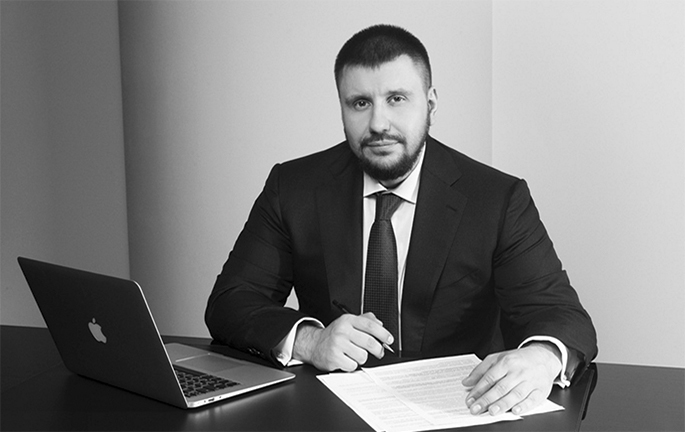 According to Klymenko, there is a way out – the automation of all the procedures with the “single window”, namely, one administrator on behalf of the state, and remote control of the correctness of the submitted documentation. This approach almost completely eliminates the risk of corruption. “I am sure, only systematic and persistent work of the government in this direction will return the confidence to entrepreneurs in the fact that they can still make business in this country. Then and only then the curve’s foreign trade will go up again” – sums up Oleksandr Klymenko.